In partnership with the TSA, the Metro will deploy portable scanners. When commuters at Los Angeles’ Union Station came down the escalator this week, they were greeted with a new security measure, ABC News affiliate KABC in Los Angeles reported. The Los Angeles Metro will become the nation’s first subway system to screen passengers with body scanners, the city announced on Tuesday. (Ringo Chiu via ZUMA Wire) Los Angeles County Metropolitan Transportation Authority (Metro) police officers working with the TSA-vetted and approved Thruvision portable, advanced passenger screening technology, August 14, 2018 in Los Angeles. 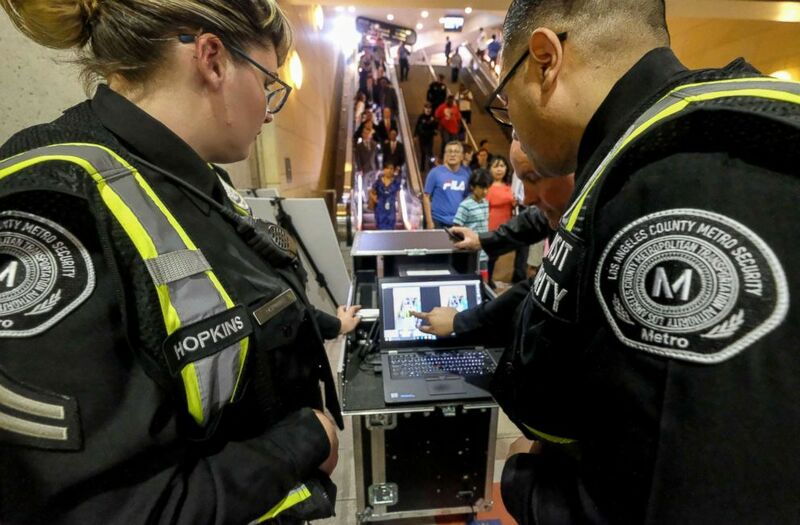 In partnership with the Transportation Security Administration (TSA), the Metro will deploy portable scanners, which are capable of scanning more than 2,000 passengers an hour, to screen passengers for weapons and explosives. “This new technology will augment our already aggressive safety and security measures and help us proactively deter potential attacks to our system,” Sheila Kuehl, Los Angeles County supervisor and Metro board chair, said in a statement. The technology, purchased from Thruvision, a United Kingdom-headquartered company, was tested by the TSA at the 7th Street/Metro Center Station over the last year, the TSA said in a statement. “TSA is pleased to have been a partner during the evaluation and testing process, which ultimately led to the purchase of a recommended system to help detect and deter potential acts of terrorism while keeping the traveling public safe,” TSA Administrator David Pekoske said in a statement. 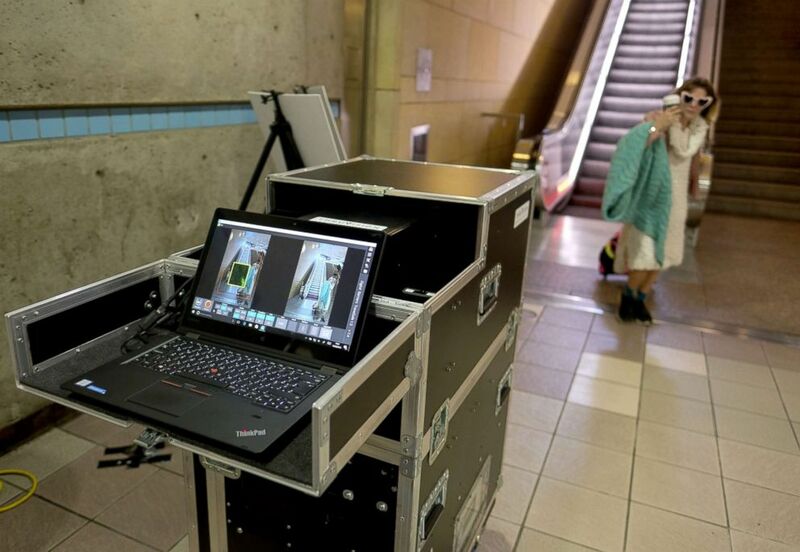 (Ringo Chiu via ZUMA Wire) The Thruvision portable, advanced passenger screening technology, will help detect weapons and explosive device security threats on the Los Angeles Metro transit system. Commuters will be scanned for weapons when they walk by the small, mobile machine, KABC reported. Normally, a person's body produces naturally occurring waves. But when the person is carrying a concealed object, these waves are blocked and detected by these scanners, the TSA said. "This is a completely noninvasive and portable screening system that passively screens weapons or individuals for weapons or explosive devices," Phillip A. Washington, Metro's CEO, told KABC. While the training to use these scanners will start immediately, KABC reported, the deployment will roll out across several stations in Los Angeles County over the next few months.